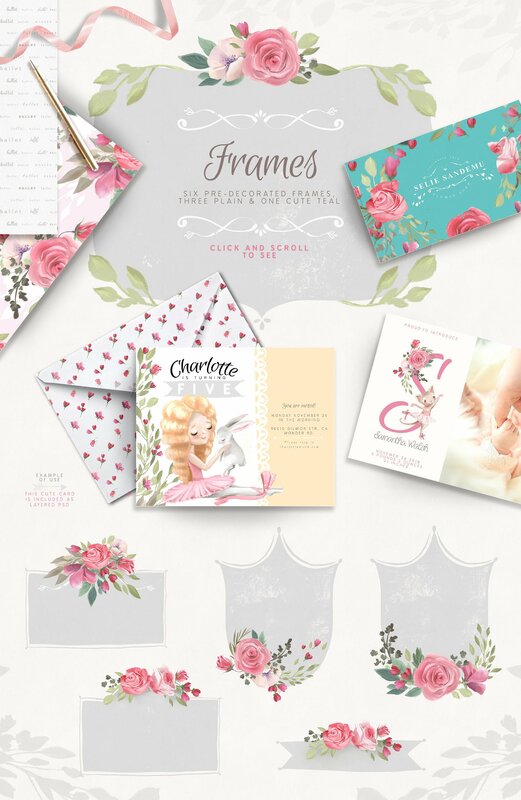 Home / Graphics / Illustrations / Oh, Ballet! Oh, Ballet! 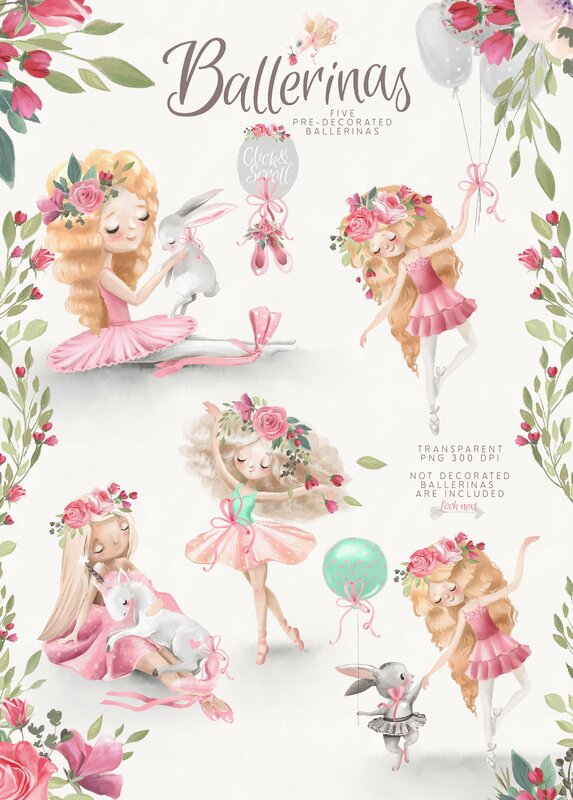 Over 120 items – all pink and cute ballerinas, bunnies, kittens & flamingo, flowers, decorative & design elements and seamless patterns! All that you need to create professional looking designs just in minutes. 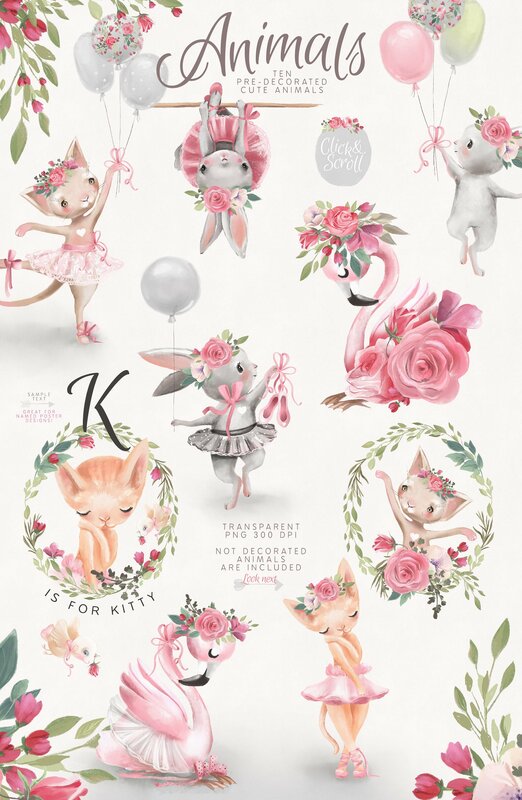 Super cute balerinas and little animals – mix and match them with a wide choice of design elements – frames, floral arrangements like a bouquets, wreaths, seamless floral drops and borders, vintage frames, teal and separators. 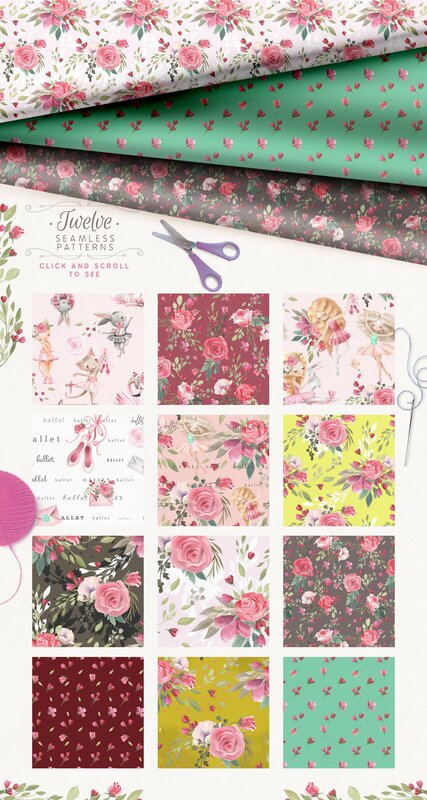 Tileable patterns will be great addition to your designs – create digital papers, fabrics and many more. 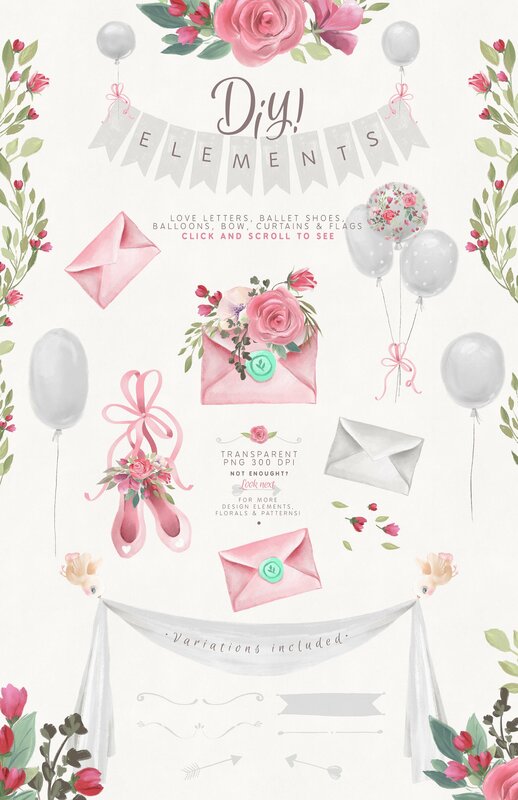 Make your own compositions with cute decorative elements – balloons, love letters, ballet shoes and others – combine and create! Not decorated vecrsions of ballerinas and animals are included. Each item are transparent PNG. In the covers are used only images which are included in the product.